As a pastor I’m urged by others to read the Puritans. Often I’ve tried and often I’ve failed. I have at times found them tedious and sometimes impenetrable. But rarely so with John Owen. Somehow, Owen, writing in the mid-1600s, bears a spirit that would surprise those who insist on dressing the Puritans in the overly tight clothes of fundamentalism. Owen, like many of his kin, wrote and preached out of a deep love for Jesus, an “affliction” I wish more of us could catch. Sometimes we get more excited about the Bible or some insight we have gained from it than we do about the One whom the Bible reveals. Other times we can be more excited about a system of truth than we are about the One of whom that truth speaks. Or we celebrate our salvation and get caught up in worship with only a side glance at the One who made that salvation possible and who is to be the object of our worship. 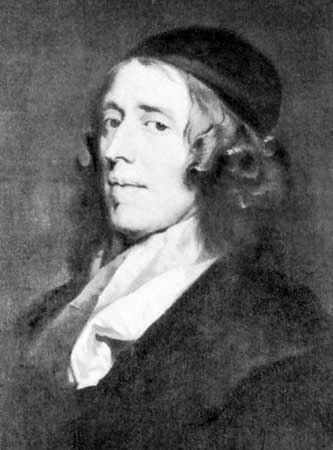 That John Owen did not easily succumb to those pitfalls is evidenced by the fact that he wrote an entire book celebrating Christians’ “Communion with God.” This book was not an idle, speculative venture. It arose from his heart. He never lost sight that the object of our systems and our worship, and the author of our salvation, was Jesus. I was recently reminded of this when flipping through his book I stumbled upon the following reflections. Here he reflects on the loveliness of Jesus in twelve affirmations. Read them, and let them resonate in your heart and mind. Lovely in his person,—in the glorious all-sufficiency of his Deity, gracious purity and holiness of his humanity, authority and majesty, love and power. Lovely in his birth and incarnation; when he was rich, for our sakes becoming poor—taking part of flesh and blood, because we partook of the same; being made of a woman, that for us he might be made under the law, even for our sakes. Lovely in the whole course of his life, and the more than angelical holiness and obedience which, in the depth of poverty and persecution, he exercised therein;—doing good, receiving evil; blessing, and being cursed, reviled, reproached, all his days. Lovely in his death; yea, therein most lovely to sinners, never more glorious and desirable than when he came broken, dead, from the cross. Then had he carried all our sins into a land of forgetfulness; then had he made peace and reconciliation for us; then had he procured life and immortality for us. Lovely in his whole employment, in his great undertaking,—in his life, death, resurrection, ascension; being a mediator between God and us, to recover the glory of God’s justice, and to save our souls,— to bring us to an enjoyment of God, who were set at such an infinite distance from him by sin. Lovely in the glory and majesty wherewith he is crowned. Now he is set down at the right hand of the Majesty on high; where, though he be terrible to his enemies, yet he is full of mercy, love, and compassion, towards his beloved ones. Lovely in all those supplies of grace and consolations, in all the dispensations of his Holy Spirit, whereof his saints are made partakers. Lovely in all the tender care, power, and wisdom, which he exercises in the protection, safe-guarding, and delivery of his church and people, in the midst of all the oppositions and persecutions whereunto they are exposed. Lovely in all his ordinances, and the whole of that spiritually glorious worship which he hath appointed to his people, whereby they draw nigh and have communion with him and his Father. Lovely and glorious in the vengeance he taketh, and will finally execute, upon the stubborn enemies of himself and his people. Lovely in the pardon he hath purchased and doth dispense,—in the reconciliation he hath established,—in the grace he communicates,— in the consolations he doth administer,—in the peace and joy he gives his saints,—in his assured preservation of them unto glory. No cold academic, preacher this. Nor should we be.